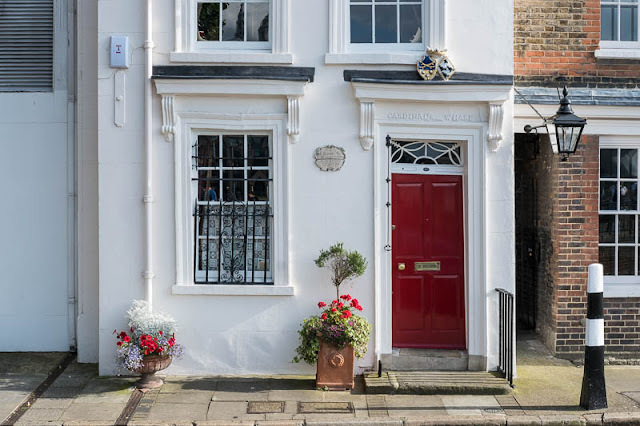 A quaint 18th century house that sits along Bankside very near the Globe theatre tells an interesting story even though it has been shown to be untrue. Hey but who cares, the story saved the house from demolition. The story told via the plaque says "Here lived Sir Christopher Wren during the building of St Paul's Cathedral. Here also, in 1503, Catherine Infanta of Castile and Aragon, afterwards first queen of Henry VIII, took shelter on her first landing in London." 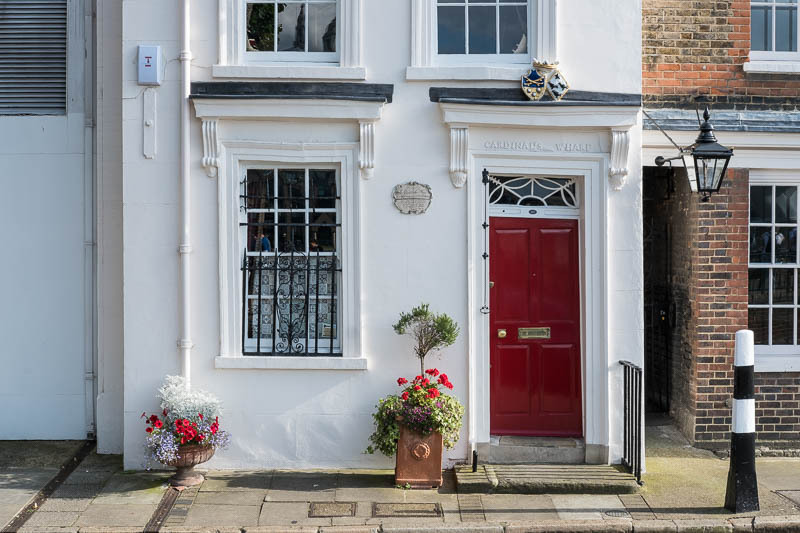 As the house was built in 1710 the year that St Paul's Cathedral was completed Wren could not have been living in this house. How the plaque got to be placed on the house or the claims made is not known, theories such as it was saved from another building and placed on the house are offered, what is known is that during the development of the area in the 20th century, the plaque played a significant role in ensuring the house (and those alongside it) were saved from the bulldozer. Thus a centuries old house remains and is now worth several million. Last time it was sold it fetched £6 million. What an interesting story that has survived through generations. True or false, it doesn't matter any more :) The house looks nice with the flowers. Holy cow, 6 million?? Amazing. That is quite a story. It makes me wonder if there are any other places with a bit of fantasy histories. How can people afford to live in London? I imagine the notion that it's saved from an older building is the case. Quaint indeed and I wondered about that story when I first came across it. Why would Wren live there? Pretty clever of them, don't you think? I am going to remember that if anyone ever wants to knock down a home of mine. Did I tell you that President Obama and Giselle Bundchen have stayed at my house? Not at the same time, I hasten to add . . .